Gorgeous custom blt hm w/ALL the amenities/upgrades you expect! This immaculate 4 BR/4 Bth ranch hm boasts an open floor plan, 10' ceilings, b'ful hdwds, extensive crown mould, sec/sprinkler syst & awesome outdoor spaces. Gourmet Kitch w/stainless appl, dble oven, granite counters, cust cabinets, pantry & SO MUCH MORE! 20x17 Spacious Great Rm w/stone f'place. 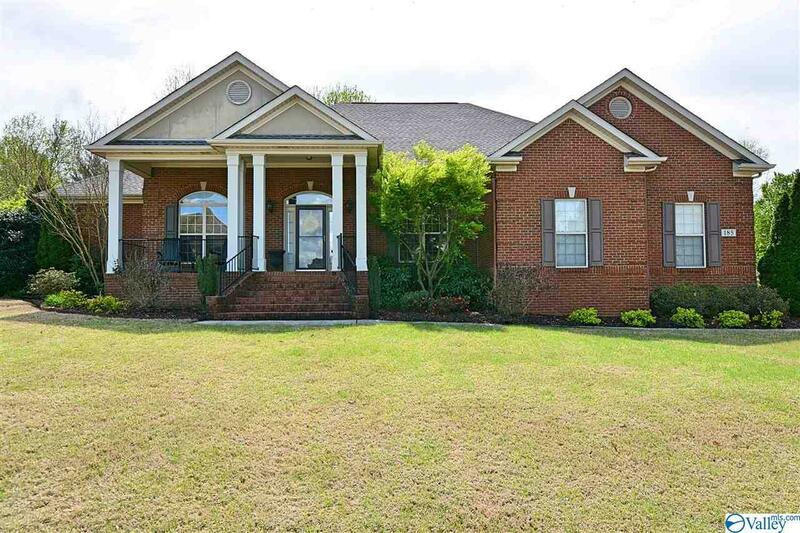 Fabulous isolated Master Suite w/17x16 BR w/trey ceilings, bay window sitting area, walk-in closet & lg Glam Bath. Awesome outdoor spaces w/priv fence incl 3/4 acre corner lot, huge cov front Porch, screened back Porch, Deck & paver Patio, stone fire pit, natural stone wall & pretty flowerbeds. New roof/2018. Call for MORE IMPROVEMENTS!